88 Rising have been making quite a name for themselves over the past while, and they have proven time and time again that they are in fact a force to be reckoned with. What started off as a small collective has grown into a massive worldwide phenomenon in which a large amount of talent is showcased from all over the world. Asian artists, despite having been around for a long time, are finally beginning to make waves overseas. Monday, October 1st, marked the record label’s first time in Montreal. This was part of the “88 Degrees and Rising” tour. Their first appearance was one to be remembered, as it was one of the most fun concerts I have attended to date. Each member of the group who was present really brought something different to the show, and they were able to keep the crowd going for the entire night. I must say, 88 Rising has quite the dedicated fanbase. The M-Telus is a relatively sized venue and it was absolutely packed from front to back. Fans were ready to party hard. The show began with a short, albeit extremely hyped up, DJ set from Don Krez, who would also act as the DJ for various performers that night. He played banger after banger, and the crowd was ready for every second of it. Once his set was finished, we had AUGUST 08 to cool off with a nice, intimate set of songs. Shortly after AUGUST’s set, Kohh came on and ramped the music up to 11. Mosh pits began to open up, and the rest became history. 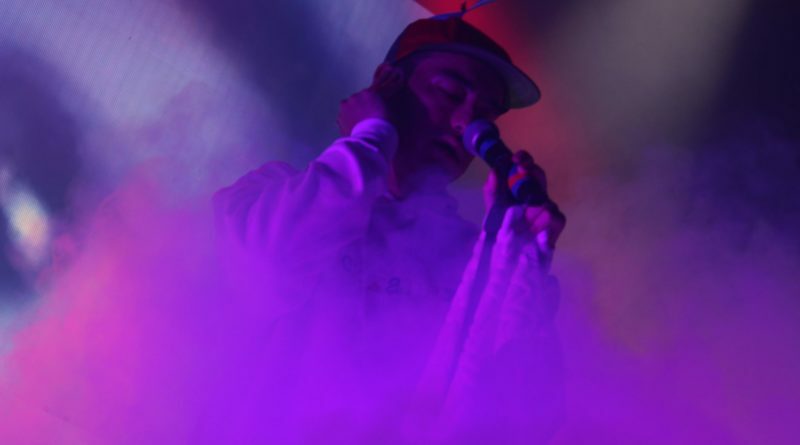 Keith Ape was unable to perform; however, that did not stop Kohh from performing an extremely energetic cover of his hit song “IT G MA”. We were then cooled off again by an extremely fun and sugary sweet performance from NIKI (the only female performer). As someone who does not normally listen to this particular type of music, I was thoroughly impressed with her energy. We went straight back into the bangers once the Higher Brothers took the stage. They brought an excessive amount of energy to the show! There were people thrashing, dancing and moshing all over the place. Despite there being another act afterwards, the artist most people came to see took the stage: the one, and only, Joji. Joji’s set felt a lot shorter than everybody else’s, though that may have been because I enjoyed his set the most and did not pay attention to the time. It was both intimate and grandiose, really making me want to go see him again in the future. The last solo act was from Rich Brian, who really delivered on the hype and the intimacy. The show finished off with the entire group coming on to perform their ensemble songs. Overall I had an incredible time at the “88 Degrees and Rising” show, and I very much hope to see them again soon.